When opting to hair extensions , from bundles to clip-in hair pieces. There’s a few considerations to with your next hairstyle. Most extensions require professional hairdresser to install while other hair extensions are simply D-I-Y like Clip-In hair extensions– which can quickly add volume to any hair texture from 4c , curly, wavy or straight by adding extra length and volume to short hair, even by adding highlights by selecting either low lights ( darker toned hair color) or a little pizzazz with highlights with lighter tones of your natural hair color. There’s endless possibilities with what extensions can do for an individual’s style . There are a few important factors that you must keep in mind when using them no matter what kind of extension you choose to wear. 1. Do not wear hair pieces straight after purchasing it. Be sure to inspect your hair pieces after taking it out of the packet. Its best to wash your bundles, thoroughly before putting it on. As you will be wearing these hair extensions for a duration of time. 2. Neatly secure your natural hair mostly through braiding the hair when opting to wefts and some Clip-In hair pieces- which depends on the hairstyle you want to create. Always switch up your braiding pattern prior to any new hair installation. Treatment of your scalp prior to installation , a professional hairdresser will give you the proper after care required . 3. Always take care for your natural hair before and during use of your hair pieces . When you wear your extensions for long duration, you can at times skip weekly shampooing and conditioning till you remove it again. Therefore proper care of one’s scalp prior to hair installation is recommended as well in between touch ups are also advised. This will limit potential drying out of your natural scalp during wear . 4. Gently remove your hair extension. While it is important to properly install your hair pieces , it is equally important to take them down in a proper manner. Refrain from pulling hair pieces out as you will be literally tearing your natural hairs out from the roots . Do not take it off in a rushed manner, through cutting threads and weaving net as you may cut your own natural hair therefore having a disappointing outcome. As far as the benefits of hair extensions are concerned, you’ll be surprised to know that the endless advantages by using extensions. For people who are not blessed with beautiful and lustrous locks, using these hair pieces is a great solution for getting the hair style they have always dreamt of. What are the Benefits of Wearing hair extensions ? 3. Adding a different hair color to your hairstyle without the potential of damaging your natural mane. Hair extensions are not a one size fit for all, below we’ve listed a few tips on how to choose the most suitable extensions for you. 1. Always go for 100% human hair. 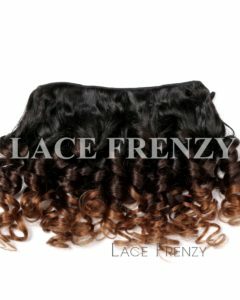 These days extensions are available in a variety of hair types, including non-Remy, Virgin Human Hair and synthetic. The best hair extensions are made with 100% human hair, no matter which method you go for. 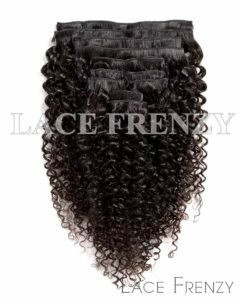 This is one of the highest hair quality that you can find in the market. Some companies claim that they are using 100% Remy or Premium Grade Virgin Human hair but they are actually mixing Remy and no-Remy as well synthetic hair to cut costs. As a consumer will realize later on that the hairs are frail and can’t hold heat curl and restyling. So, before you buy an extension, read descriptions, reviews from other clients and stylists to ensure you are buying the best quality extensions and that too for a great deal. It’s also very important to take into consideration which type of hair extension matches your lifestyle. Extensions do require a bit of maintenance, and if waking up 10 minutes earlier to have beautiful hair is worth it to you then you are absolutely a perfect candidate for hair extensions. However, if your schedule is too busy to maintain your extensions on daily basis then clip-in hair extensions may be the best for you. 3. Choose an extension that matches your hair color and hair texture for the most authentic appearance. Another important tip for choosing the right hair extension is finding the one that matches your natural hair color. If your hair isn’t one dimensional then go extensions with dual blended extensions. 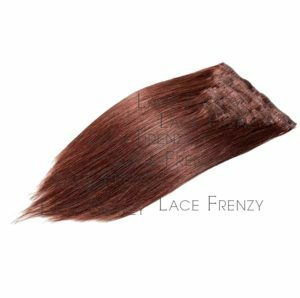 A perfect color match means that your hair pieces will blend completely with your natural hair and look very realistic. Some common origins of hair extensions include Indian, European, and Chinese. Each extension type is suitable for different hair textures , thickness and therefore, you should choose the one that will go with your hair texture. If you pick an extension that does not match your natural hair then the hair extension will not look as realistic or mix with your hair. Hair extensions have become a firm favorite for women all around the globe as a convenient and quick way to transform their hairstyles and overall appearance. Loved by actresses and used as a staple by hair stylist within the TV, fashion and movie industries, hair extensions are now available everywhere. This entry was posted in Braid-In Bundles, Bundle Wefts, Clip - In Hair Extensions, Hair, Hair Extension Care, Hair Extensions, Tape Hair Extensions, Virgin Hair Extensions, Weave Knowledge and tagged bundle hair extensions, clip-in hair extensions, double drawn hair extensions, Hair Extensions, human hair extensions, machine weft bundles, Virging Hair Extensions.